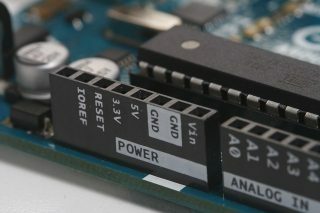 Twenty years ago, it wasn’t easy to find low-cost microcontroller boards. Nowadays, that’s almost the opposite: every month, several new boards appear. Some of them, providing wireless connectivity, are tagged as IoT boards, and can be used for the design of your next IoT device. In this article, I maintain a list of various such low cost IoT boards, that I read or hear about. According to the above paragraph, this article is not exhaustive, and will never be. Onion’s Omega2, a Linux (micro)microcomputer, with Wi-Fi, 64 MB RAM, 16 MB Flash, USB, GPIO, UART, etc. Starting from US$ 5 – a Kickstarter project. RuuviTag, from Ruuvi – based on nRF52832 (Cortex-M4F) – accelerometer, temperature + humidity + pressure sensor, etc.